It’s common to hear people from the US and Europe get some of the facts wrong about Chile. When traveling back to the states, I’ve been asked by Americans whether Chile is in Asia or Africa and I definitely don’t expect your average Joe to up to speed on how low the debt level is or how strong property rights are in this part of the world. What does surprise me though is how off the Chileans can sometimes be on parts of their own country. For example, Chileans will go on and on about how beautiful and exciting the far northern and far southern parts of their country are (Patagonia, the Atacama desert, Tierra del Fuego, etc) but when it comes to the central regions just south of Santiago, many will tell you they’re boring, ugly, and that there isn’t really anything interesting to see. Take Talca for instance, the heart of Chile’s 7th region. It has to one of Chile’s least respected areas and property prices here remain some of the cheapest in the entire country. Try telling a Chilean from Santiago that you’re heading down to Talca for a few days (or that you live there for part of the week) and you’ll see what I’m talking about. I normally try to avoid arguing with Chileans about their country but I’ll tell you that these people obviously don’t know Talca or the 7th region very well at all. 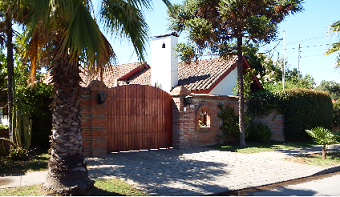 Above is a photo of a typical home in the Las Rastras neighborhood of Talca, which is located right next to the Universidad Catolica (one of the city’s largest universities). 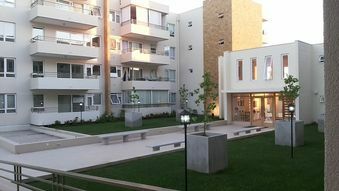 Here’s an apartment building just around the corner from the Mall Plaza Maule where you can rent a brand new apartment for under $600 USD per month and below is Talca’s main square. Sure, there are some ugly neighborhoods in Talca but to paint the whole city with the same brush is ludicrous. And the idea that there’s nothing to do in Chile’s 7th region is even more ridiculous. This region is of the few areas in the world where you can get to just about any kind of landscape or biome in an hour or two from the city. Heading east from where I live in Talca, there are world class vineyards 15 minutes away and if you keep going down the highway, you get to the snow-capped peaks of the world’s second largest mountain range in another hour. Going the other direction, you pass by more vineyards, then pine covered forests, and finally arrive at a number of the little known windsurfing spots and uncrowded beaches. Making the region even more interesting is the number of infrastructure developments happening around here today. Just this past weekend, I took a drive from my family’s 40 acre farm right outside of Talca to one of my beach properties. What was a 25 mile section of rough gravel road just 3 months ago is now almost all freshly paved black top, cutting down on travel time as well as giving land prices in the area a boost. These kinds of things really make you feel glad to be alive and always remind me how happy I am that I made the choice to start establishing a foothold here years ago. We’re going to be hosting a number of events down here over the next couple months and if you don’t like the direction things are headed where you currently live, you might want to come down and see if this part of Chile just might suit you better.